Physics@Veldhoven takes place on 22 and 23 January 2019. 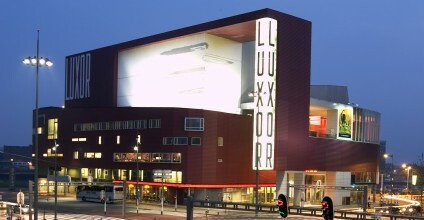 It is a large congress that provides a topical overview of physics in the Netherlands. Dat we inmiddels aan editie 20 (!) zitten van Digital Wednesday én we elke editie weer een goedgevulde zaal hebben, laat het goed zien: digital is bíg. Maar dat wisten we al (jaren). Wat er wél veranderd is, is dat organisaties die tijd hebben gebruikt om scherp te krijgen hoe hun mensen, systemen en businessmodellen mee kunnen veranderen met de tijd waarin zij opereren. Dit vraagt veel van organisaties, maar leidt er ook toe dat er een groeiende vraag is naar (ervaren) digital mensen om organisaties te helpen hun digital performance naar een hoger plan te tillen. De juiste mensen met de juiste skills vinden, was nog nooit zo moeilijk als nu. Graduation Day is a day to remember for the rest of your life. We hope this will apply also for the more than 200 graduates of the EIT Digital Master School that will graduate this year. These students are the fifth cohort of the EIT Digital Master School to be congratulated with their double Master Degree and for the special certificate from the European Institute of Innovation and Technology (EIT). The EIT Digital Academy proudly announces that the official Graduation Ceremony will take place on 24 November, 2018 in Eindhoven, The Netherlands. We would like to make this a day to remember for the newly graduated innovators and entrepreneurs with a fabulous closure of their two years of learning experience across Europe. We have the pleasure of inviting you to the GRADUATION CEREMONY for the Bachelor in International Business Administration on Friday, 16 November, 2018.